We love shooting at Mill City, but the street out front turned into a veritable wind tunnel that day. It was the kind of wind that could Mary Poppins you right off the ground, but they fought through it and found each other for their first look. This wedding was so fun because Jill and Ben were in sync with each other every step of the day, including their epic first dance. No, it wasn’t the choreographed and rehearsed type “epic,” it was just letting loose and completely enjoying their first dance as a married couple! 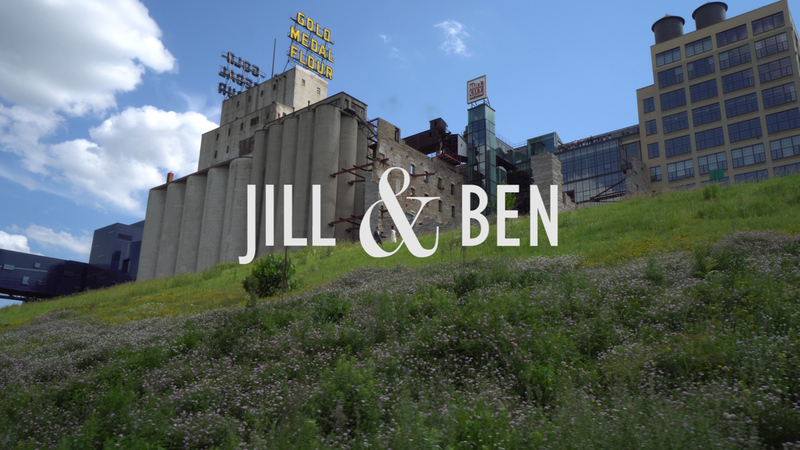 Jill and Ben, we’re so happy we got to capture your day. Congratulations!